Our Go Missions Revival is coming up very soon! As you pray for the services, ask God to work in your heart. As you listen to the field challenges of each missionary family, you will begin the see their heart and burden for the field God has called them to. They care about the people and their souls. As the week progresses and you are able to spend personal time with each missionary family, you will see the love for their call in life. When you ask questions at their table, you will see the light in their eyes as they joyfully give the answer. The amazing truth about each family is the fact that they are just like you. They are everyday people who have answered God’s call to go! Children and teens alike can have a heart for world evangelism. As your child or teen sits in the service, you never know how God may work in their hearts. You may be raising a future missionary! Children will walk through with their passports and meet missionary families and only heaven knows the impact that meeting one missionary, watching one video, or listening to one message on missions will have on their heart. As your child or teen sees you interact with missionaries, listens to you pray for a missionary family, or watches you sacrificially give so missionaries can go, their life can be impacted. When you place a proper prospective on world evangelism, they will too. There is no better way to give them this direction than being in your place during each service of Missions Revival. It is rare to watch a good missionary presentation without being stirred. You will see the faces, hear the statistics, and possibly even listen to the testimonies of people from around the world. Every Christian who views the need of the Gospel should feel a responsibility to deliver this truth to every man, woman, boy, and girl who has never heard the truth of God’s glorious love, and the sacrificial death of His Son to pay their sin debt. With this responsibility, we must realize that it is our job to reach souls with this good news. While every person may not be called to go to the other side of the globe, it is our responsibility to reach those across the street and around the world! You may have given to missions for forty years, or you may hear about supporting missionaries for the first time at this missions revival, but one thing every one will be able to do is see missions dollars at work. Countless Christians sacrificially give of their hard-earned money to spread the Gospel. Many times, unless you are in regular contact with a missionary, you may never hear of the souls saved or the churches planted with the money that God allowed you to give. 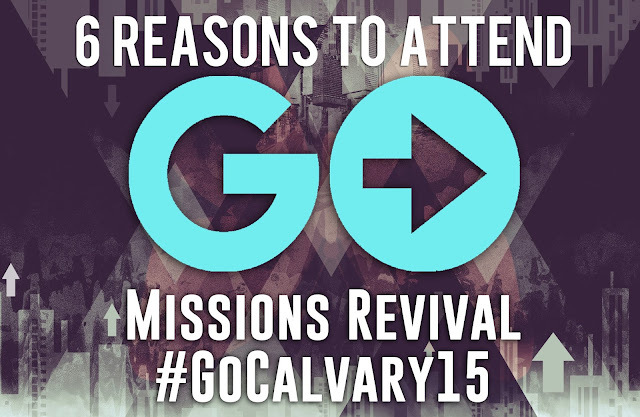 The Missions Revival will allow you to see, first hand, the fruit of your efforts in allowing the gospel to go! After you have heard the preaching, watched the missionary videos, heard the field challenges, and spent personal time with the missionaries, there is no doubt that your heart will be stirred. You will be spiritually challenged as you come each night. As God challenges your heart, are you open to His will for your life? Will you be involved in God’s plan for world evangelism? God’s plan is not for everyone to move to another place and plant a church, but it is His will for every Christian to be involved in world evangelism. Would you leave your heart open to God’s will in your life? As has already been mentioned, God’s will is not for every Christian to pack all of their belongings, move to another part of the world, and plant a church, but the command to go still exists. If He has not called you to go, His plan is for you to give. There is no greater investment than the investment you will make in spreading the Gospel around the world! There is no earthly way to know how many souls are saved or lives are impacted because of the sacrifice you make to give. Even now, you can begin to pray about what God would have you to give so the Gospel can go!